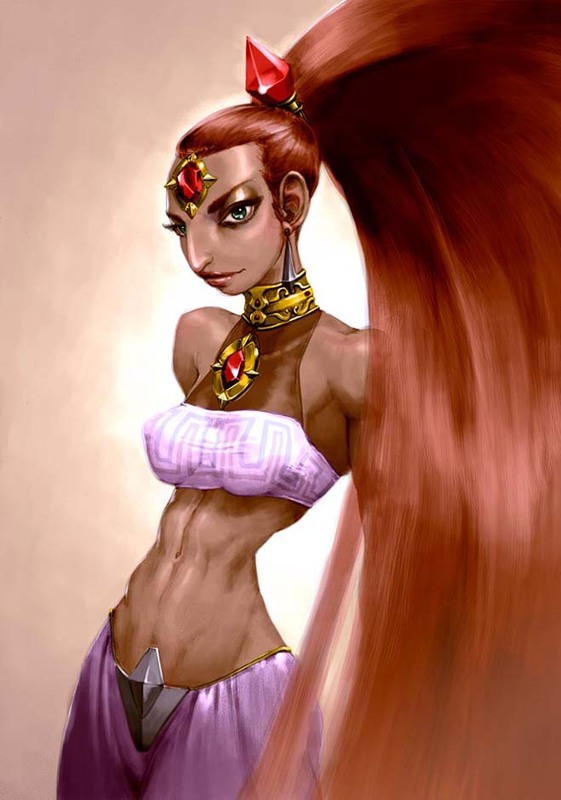 This is one of the Gerudo Guards, introduced in Zelda: Ocarina of Time and drawn by the English Artist Tom Waterhouse aka. 2dForever. 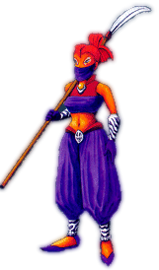 The official art for them looked a bit different than their in-game models, Tom mixed up these two to create our first entry of the Gerudo Guard for Link`s Blacklist! 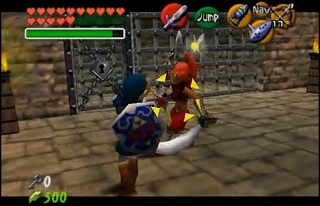 The Gerudo Guard in Zelda: Ocarina of Time is actually also a Mini Boss. 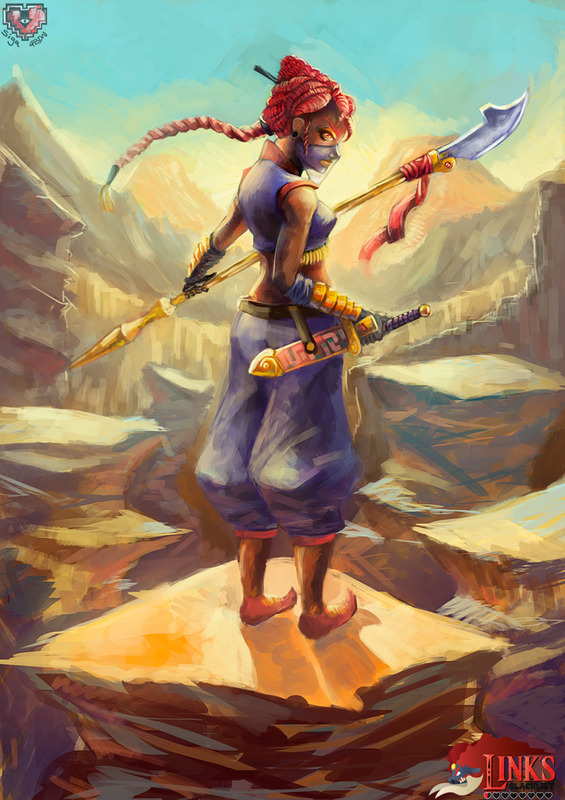 Our second illustration of the Gerudo Guards was not directly made for Link’s Blacklist, but in the long run it lead to another submission by the artist behind it, Siga4BDN (who is like Tom Waterhouse also from the UK) in form of the Stalmaster from Zelda Skyward Sword made for the second round of our big art tribute. In this illustration which was a speedpaint he added a few ew details and also changed a few elements. Like many other fans too, he hopes that the Gerudo Clan would be in a new Zelda game as well. Let’s see what Nintendo has in Store after their Wind Waker HD and Zelda ALTTP 3 Remakes!